This past 4 day weekend was a productive one for me. I cleaned. Cleaned some more. Organized. Baked. Cleaned again. During all of these incredibly fun activities I found GOLD filled with GOLD. 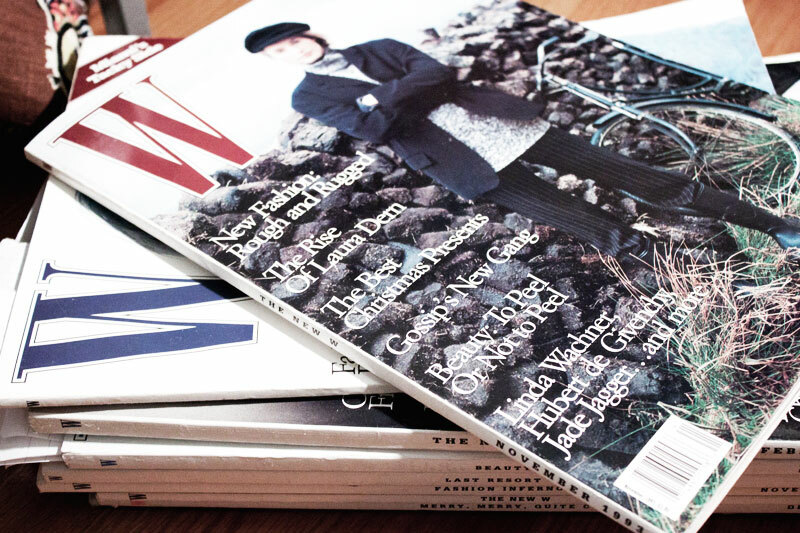 A pile of W magazines from 1993-94. Happy Holidays to ME! These oversized beauts are everything I want them to be, full of stunning ads, simple layouts, iconic models and once adored fashion. 18-year old Drew Barrymore graced the pages in Guess ads with a perfect 90's dark lip. Cindy Crawford on a Chanel runway sporting.... backwards suspenders? SPEAKING OF CHANEL... 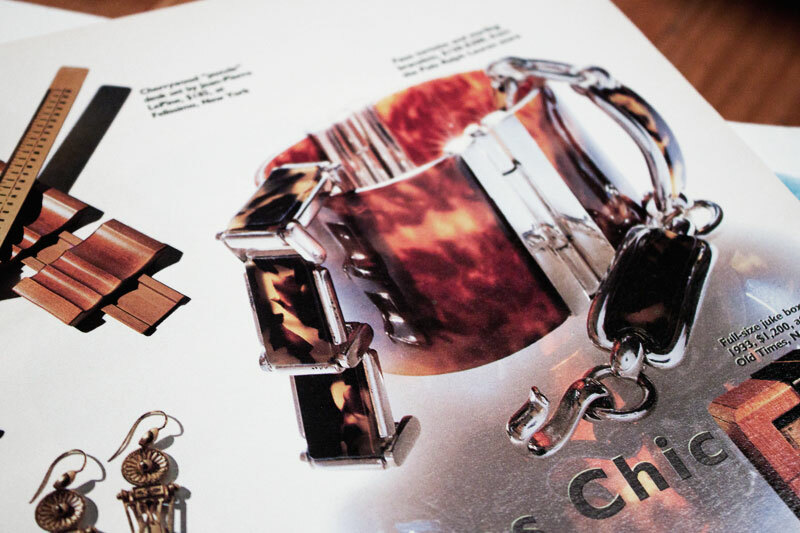 This spread features the legendary Chanel 2.55 in an array of colors. Did you know that Coco Chanel originally created a bag with straps in the 1920's because she was sick of not having her hands free!? 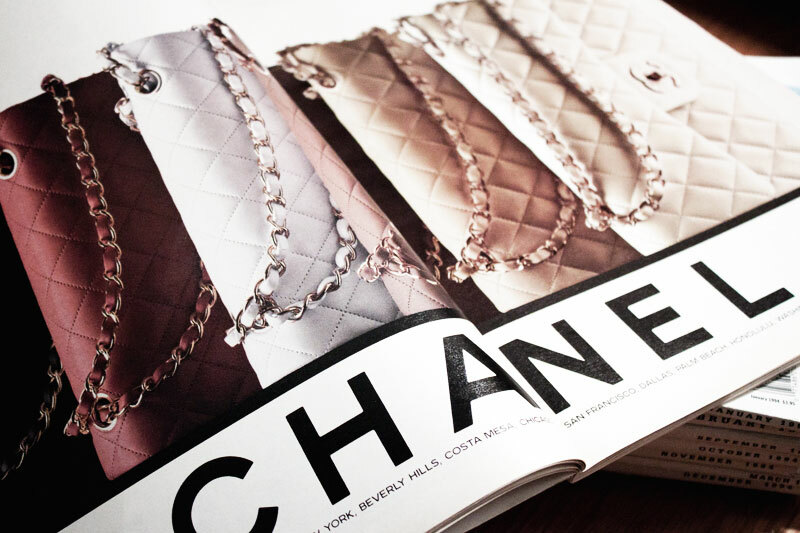 Oh the many reasons we love Chanel. The final design, the 2.55, was created in Feb 1955 after her successful comeback in the fashion industry. I love the simplicity of this Chanel ad. A spread that only needs the product (well it is Chanel so who needs any more) and large black type is a perfect ad to me. Let the product and type speak for itself. 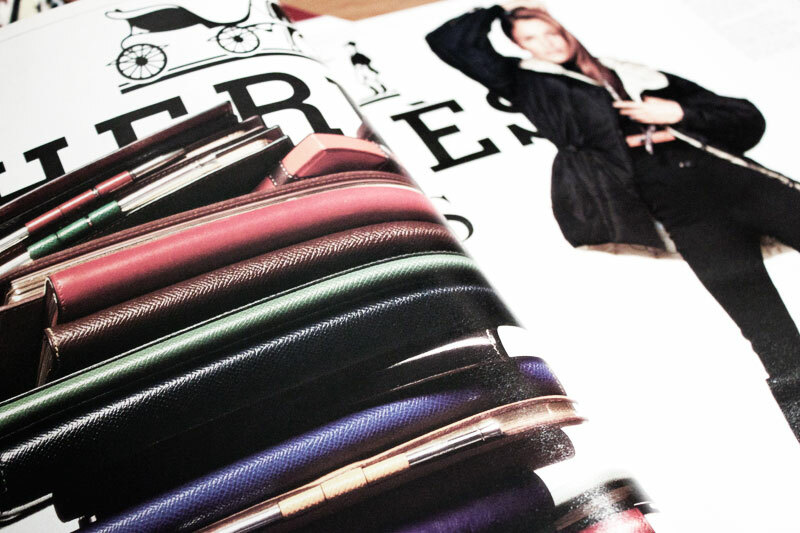 The same simplicity is seen in the Hermes ad above. A oversized black logo a pile of Hermes notebooks. Done and done. Also in Nov '93, the Queen, Diana Ross received the title of Fashion Victim of the Month, wearing a cinched puffy green Thierry Mugler outfit with vinyl leggings. I still love you Miss Ross! 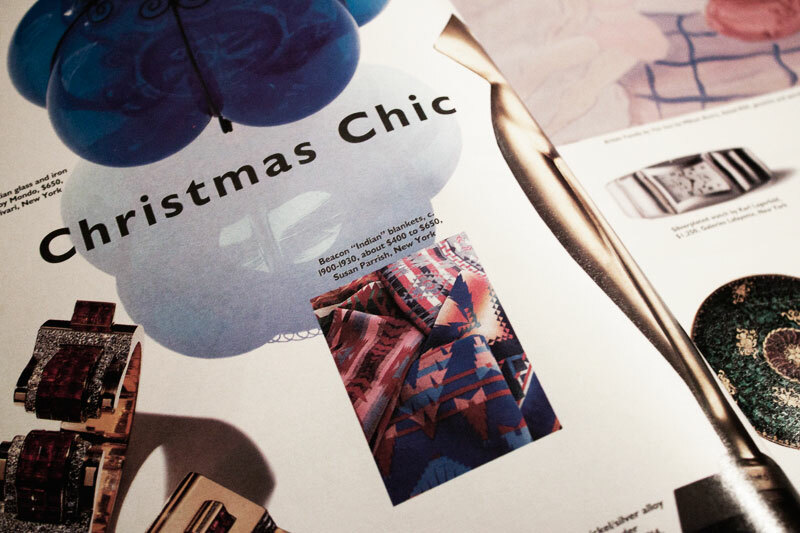 So what was hot for the Holidays in '93? 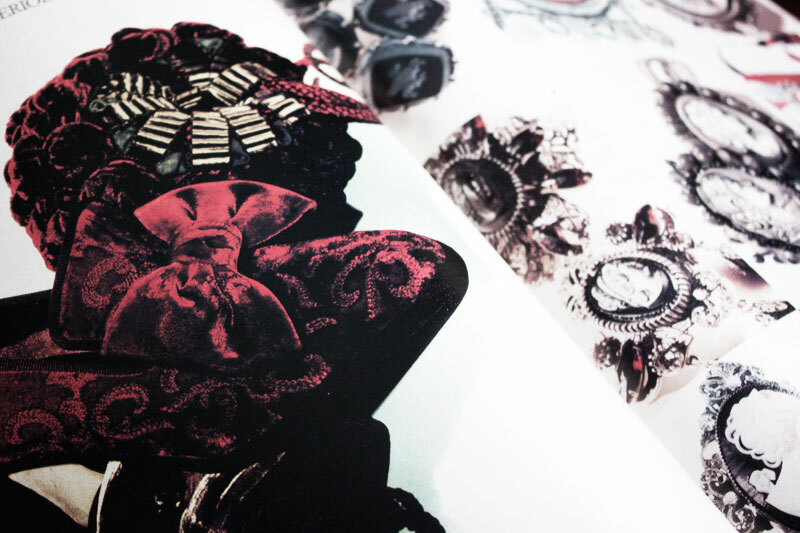 ... "From the sublime to the eccentric. 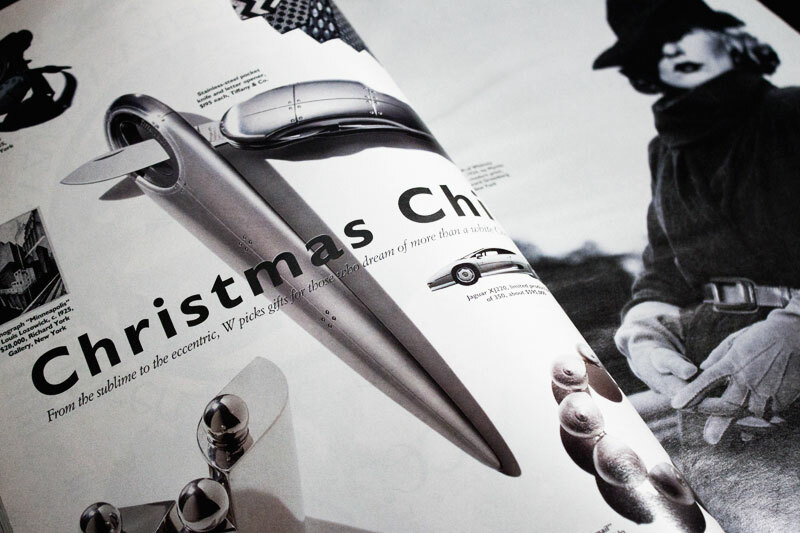 W picks gifts for those who dream of more than a white Christmas." For the slick, we have stainless steel flasks ($74), a Louis Lozowick lithograph ($28,000) and a Jaguar is yours if you're nice & have $595,000. The adventurer on your list? How about a wooden field camera ($1,395), a microscope ($1,450) or if those are not in your budget, a Polo Ralph Lauren faux tortoise and sterling bracelet for only $200! For the eclectic, a Alexander Archipenko silver alloy torso ($125,000), a patchwork vest ($435) or a rubies & diamonds bangle in yellow gold with matching clips for a bargain price of $200,000. ... but he didn't come to the party as equip as Oscar de la Renta. Gold & emerald & more gold were the big trend for Holiday 1993 (I guess my Grandma had it right!). I can't wait to show you more from this impressive pile of W... what do you love form the 90's?